Sample the Book – Don't Back into the Palm Tree! Don’t Back into the Palm Tree! 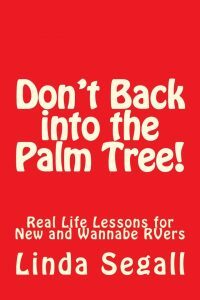 Real Life Lessons for New and Wannabe RVers is available on Amazon.com, either in e-book (Kindle) version, or in paperback. Click here to sample the book.